An easy quilt with astonishing results. 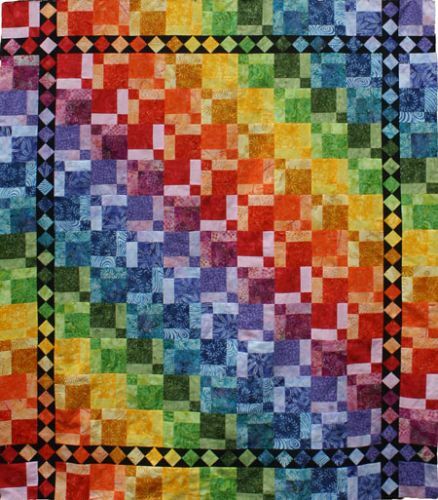 The nine-patch blocks constructed in rainbow colored fabrics will disappear when assembling this quilt. 6 color quilt - 45" x 45"
12 color quilt - 60" x 69"